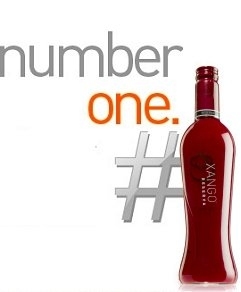 To be properly introduced to XANGO is to learn of the men who had the unique vision to start it rolling in the first place. Together, their industry experience, business acumen and relentless drive led them to creating one of the fastest-growing global brands in the marketplace. Add to that, then, the several others who have grabbed the reins and been passed the figurative baton since Aaron, Gordon, Kent, Gary and Joe initially built XANGO from the ground up. Grouped together, this collection of the minds builds together what the founders had the courage to begin. So, while the biographies attached to them may allow for some of what led them down this XANGO road, to know the following individuals on a personal level is to understand the success of XANGO. CEO from XANGO's launch in 2002 to 2006 and most recently serving as Board Chairman Emeritus, Hollister is one of XANGO, LLCs six founding members. Under his leadership the company has achieved more than a billion dollars in cumulative sales. Hollister along with XANGO partner, Aaron Garrity, was also named a national finalist in the 2006 Ernst & Young Entrepreneur of the Year awards. As Chairman Emeritus, Hollister is traveling extensively to support XANGO distributors and help fulfill XANGO's aggressive global growth strategy. He also continues meeting regularly with the board of directors, lending strategic insight to his fellow founders and the executive team. After graduating, he went to work for the accounting firm Ernst & Ernst (known as Ernst & Young) then leaving for a position at Merle Norman Cosmetics and eventually became president and COO. In a span of five years, he helped engineer sales going from $60 million to $250 million and doubled the number of franchises. Hollister next became president and CEO of MEI Salons, Inc. in Minneapolis, Minnesota. After four years, he started the Hollister Group, a marketing organization to serve the beauty and fashion industry. In 1997 Enrich International recruited Hollister to be president and CEO. It was there that he worked with Aaron, Joe, and Gordon and formed his passion for the life changing benefits of network marketing. In a few short years, Aaron Garrity has become an inspiration to creative entrepreneurs worldwide. His many accomplishments are that much more impressive as they took place during a difficult economic environment. Recognized in a Harvard Business Review study as an enterprising innovator along with top executives at Amazon, PayPal and Ebay, Aaron Garrity has invested his career as a socially-conscious entrepreneur, building a billion-dollar brand and creating jobs and opportunity, especially in times and areas of economic stress. Ernst and Young honored Garrity as a corporate, culture and career architect with its 2006 Entrepreneur of the Year Award. Utah Business Magazine named him CEO of the Year in 2008, noting his achievements in fostering a workplace of service, creativity and leadership at every level. Garrity sits on the CEO council for WFDSA and the board of directors of the Direct Selling Association (DSA). In 2009, he was named one of the “most influential people in direct sales” just days after ringing the bell on the floor of the NYSE with other industry CEOs. While living in southeast Asia, Joe Morton's discovery of the mangosteen fruit as a global product opportunity inspired the launch of XANGO Juice and a new category of nutritional supplements. A passionate advocate of the network marketing lifestyle, Joe has dedicated his executive career to driving a global evolution in distributor relations, building dialogue with leaders at every level of XANGO's vast network. Cultivating a worldwide marketplace for a revered botanical is natural fit for Joe. He gained knowledge of professional networking and natural products from his father, who ran the Canadian division of a multinational network marketing company, and his mother, the owner of a popular Canadian health food store. A six-time Ironman competitor named by a magazine as Utah's "Fittest Executive," Joe is known for his tireless efforts on behalf of XANGO's one million distributors worldwide. He invests hours each day in dialogue with distributors in XANGO's 34 plus global markets. Joe's determined mantra of discovery and recognition of "new leaders" has propelled XANGO's phenomenal growth and field success stories. Morton contributes his time and resources to causes at home as well as abroad. In addition to leading several charitable missions through the XANGO Goodness Foundation, he also serves on the board of the Utah Valley Chapter of the Boys & Girls Club and as a scout master for the Boy Scouts of America. From skiing to business, nothing beats actual experience. And Gordon Morton has lived it all. Gordon’s experience as a full-time distributor and corporate powerhouse give him the skills and know how to keep his skis pointed downhill and eyes peeled for obstacles. With the same nutritional background as his brother, Joe, Gordon Morton studied and earned a degree in Organizational Development. He has held key international positions with several industry giants. Gordon is active in state and national politics, has received an honorary doctorate degree from Canyonville Christian Academy, and is a member of Real Salt Lake’s Community Counsel. Gordon and his wife, Rachel have three children. Kent Wood was born in Salt Lake City, Utah. He holds both a Bachelors and Masters Degree in Accounting. Kent spent most of his career auditing, consulting or being employed by some of Utah’s most successful multi-level marketing companies. One of XANGO's six founders, his many years of experience prepared him for his role as XANGO's original CFO. Since then, Kent has served in many capacities, namely XANGO's COO, President of Operations and President. Kent also held the honor of being named one of Utah Business Magazine’s 40 Under Forty in 2008, an annual award that recognizes some of the most successful and significant businessmen under the age of 40 throughout the state. In what spare time he can call his own, Kent is a runner, and is actively working towards qualifying for the Boston Marathon. Kent and his wife Melanie are the parents of five daughters. From the very first meeting on, Joe Morton and his friends, who later would form the manage- ment team, agreed that a part of the profits would go to charity. Now, XANGO supports many children around the world in their daily existence. Support in their daily maintenance, education and health! Placing a product on the market such as mangosteenjuice from XANGO is really an achievement of the highest level. The founders has created a very delicious and 100% safe product and is therefore suitable for young and old. So, for you too! Use the order form to order your XANGO juice. Would you like to have more exact product information such as quantity per package, shelf life and, of course, terms of delivery. Check out our page “Ordering info”. Here you can find all the ins and outs of the product, of course, XANGO juice and how you can order.